We finally finished our first patio. 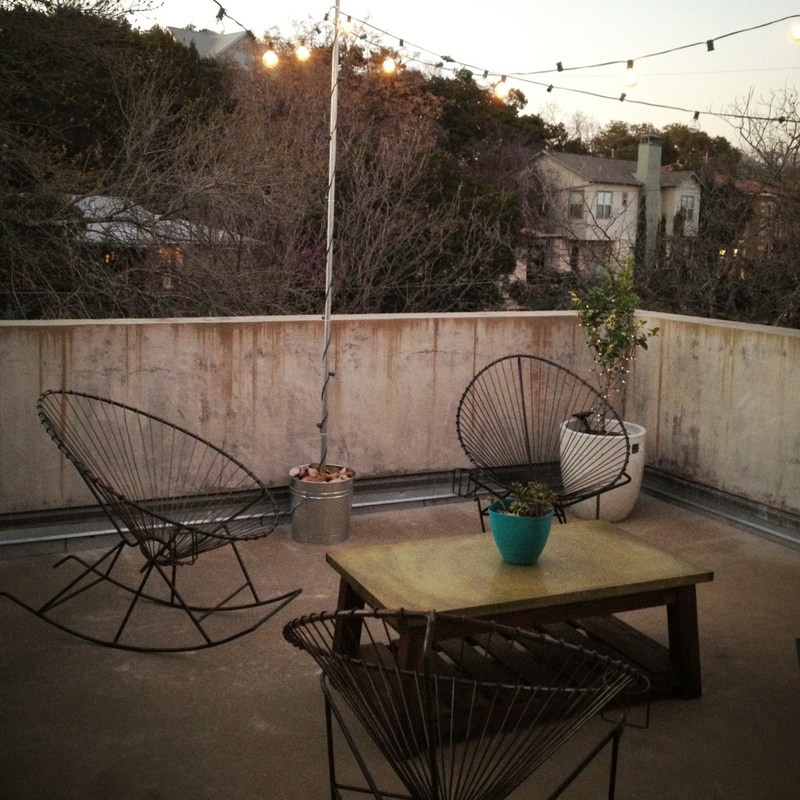 We have the acapulco chairs, the hanging globe lights, and it’s a great place to chill. The coffee table is a nice place to set drinks down. We tidied up a guest room. 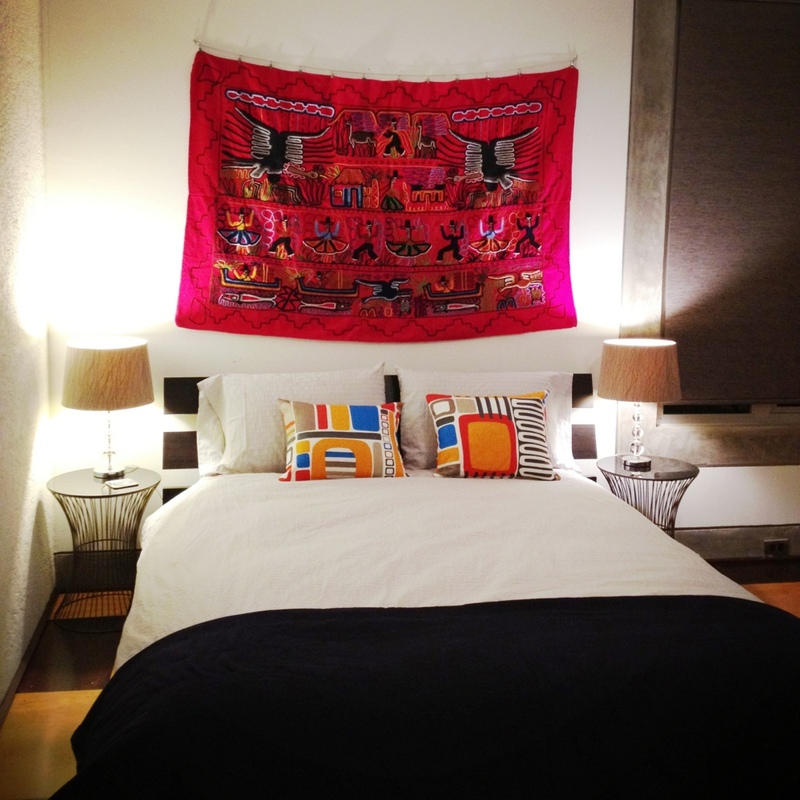 The red wall hanging is a Peruvian tapestry. The Platner side tables are from Target. 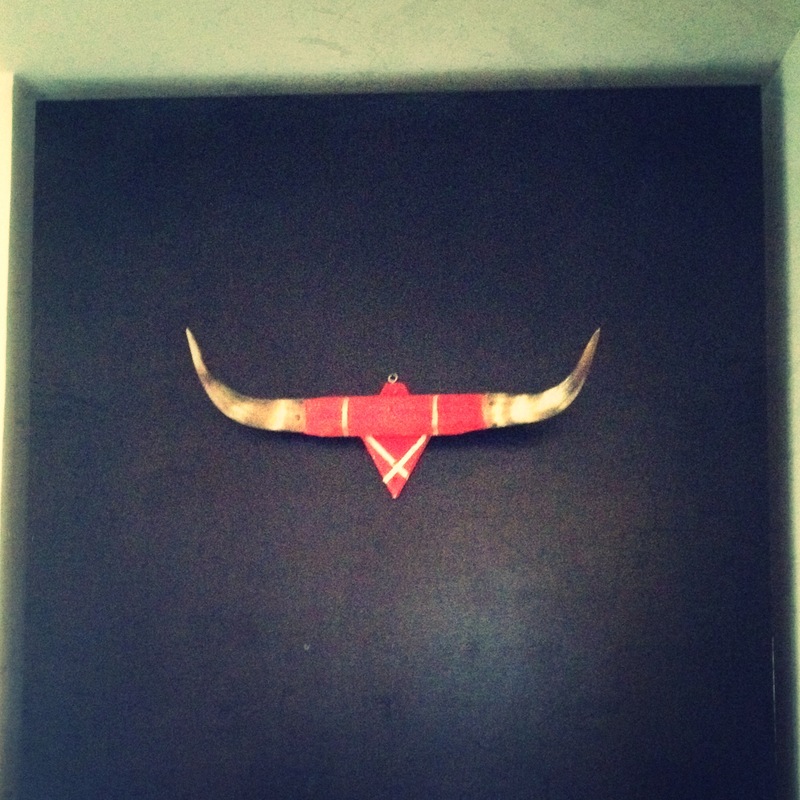 Quick fix, but hanging up this pair of horns made a big difference in our hallway. We are finalizing our landscape plans. It’s gonna be nice, but really, anything is an improvement over the craptastic mess that is currently our yard.